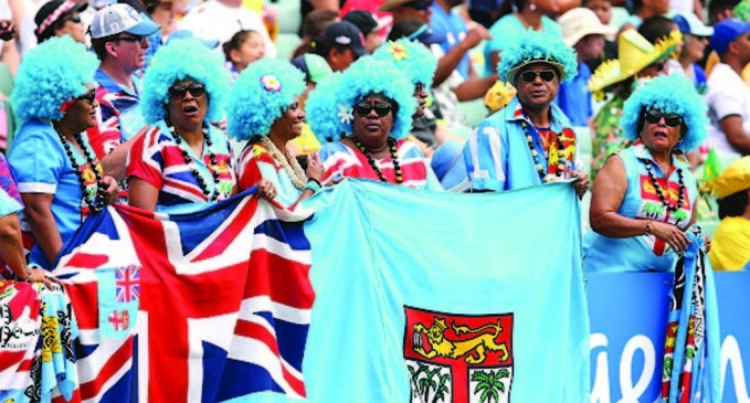 Fijian rugby union fans are expected to be in Japan during the World Cup. Following record demand across the 2018 ticket ballot phases for Rugby World Cup 2019, first-come-first-serve ticket sales are set to begin this month. Ticket sales will take place via a two-stage process with an exclusive opportunity for applicants who were unsuccessful in the 2018 sales ballots commencing on January 15 and sales to the general public following on January 19. Ticket availability across the tournament remains limited following record sales throughout the 2018 ballots. While there is still reasonable availability for certain pool matches, tickets for the most popular matches remain extremely limited. These include all knockout stage matches and pool matches featuring the host nation Japan, defending champions New Zealand, as well as Ireland and England. “The huge demand for tickets points to Rugby World Cup 2019 being a truly special tournament,” he said. “For anybody considering buying tickets for matches that still have availability I suggest you move as quickly as possible when first-come-first-served sales begin. “The huge demand from domestic rugby fans unable to secure tickets for Japan matches will spread quickly to the tournament’s remaining matches. “World Rugby Chairman Bill Beaumont added: “Rugby World Cup is proving to be the event to attend in 2019 with record ticket applications. “The incredible demand for tickets demonstrates that Asia’s first Rugby World Cup has truly captured the imagination of fans around the world,” he said. “It will be a tournament that has fans and teams at heart, celebrating rugby and Japan. Ticket-inclusive travel packages provided through RWC 2019 official travel agents are proving extremely popular,. The tickets for some of the most popular matches still available. The prestigious Webb Ellis Suite and private hospitality suites are already sold out, however some great match-day hospitality options are still available. Further details can be found via www.rugbyworldcup.com/supportertours and www.rugbyworldcup.com/hospitality. When purchasing tickets, fans will be able to opt-in and donate to the ChildFund Pass It Back programme. In partnership with World Rugby’s Impact Beyond programme, Pass It Back inspires positive social change through the delivery of an integrated life-skills and non-contact tag rugby curriculum, educating children and young people in areas of leadership, problem-solving, gender equality, conflict resolution and life preparation. For more details visit www.childfundpassitback.org. With such exceptional demand for tickets, fans are being urged to buy exclusively from official channels to avoid being let down. For more details visit www.rugbyworldcup.com/buy-official.